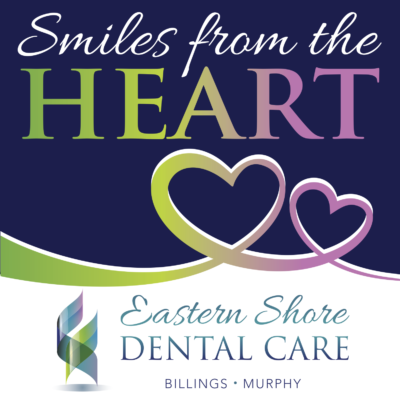 CHESTER – The doctors and staff at Eastern Shore Dental Care are pleased to announce the 5th Annual “Smiles from the Heart – A Free Day of Dentistry” happening at their office in Chester, Maryland on April 13, 2019 at 8:00am. For one day only, individuals 18 years of age and older without access to dental coverage will be able to receive select treatments at NO CHARGE. Patients will have X-rays taken and then be able to choose 1 of the following procedures: A cleaning, an extraction or a filling. WE WILL DO OUR VERY BEST TO TREAT AS MANY PATIENTS AS POSSIBLE. IT WILL BE ON A FIRST COME, FIRST SERVE BASIS SO WE ENCOURAGE PATIENTS TO ARRIVE EARLY. APPOINTMENTS ARE LIMITED. Same day walk-in visits only. No appointments can be reserved in advance. In May 2014, Eastern Shore Dental Care held their first-ever free day of dentistry as a way to give back to the community. The event has been a huge success, with over 500 patients serviced AT NO COST TO THE PATIENTS in the last four years. As the number of Americans without adequate dental care continues to grow, Dr. Billings and Dr. Murphy along with their colleagues, recognize the need to continue hosting this event each year. In the Fall of 2017, the practice debuted a brand new, renovated and expanded state-of-the-art dental facility with the capability of doubling the number of patients treated in a single day. For more information about Smiles from the Heart, please call 410-643-5500 or email info@easternshoredentalcare.com.